For Christmas, my husband bought me the Silhouette Cameo. I was really excited to get it but felt a little overwhelmed by all the projects I could do. Sometimes when my wheels start spinning like that I get paralyzed instead of getting to work. Eventually I bought the Silhouette Vinyl starter kit just so I had a place to start. 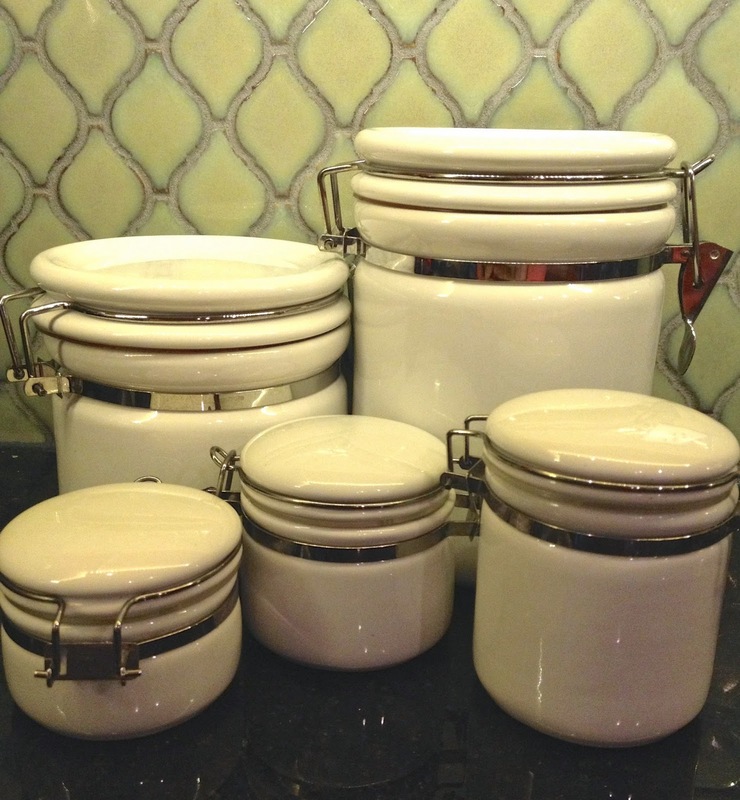 I received this set of white canisters from my wedding shower years ago. I like the idea of them but never really put them to good use. The starter kit came with a green color that would look perfect with the other colors in our kitchen. I played around with the fonts and sizes a bit until I found what I liked. It was so easy and I loved the results. 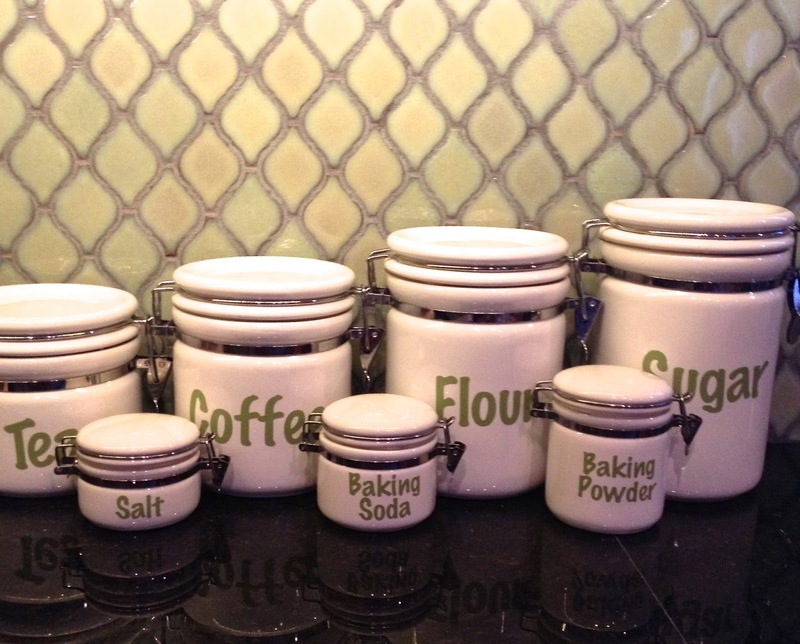 Now we are actually using the canisters everyday. It really helps when you don't have to guess what is in each container! Now I am walking around my house taking notes on what should be labeled next.